Description: Kelly’s Ford was one of the early larger scale cavalry fights in Virginia that set the stage for Brandy Station and cavalry actions of the Gettysburg campaign. Twenty-one hundred troopers of Averell’s cavalry division crossed the Rappahannock River to attack the Confederate cavalry. 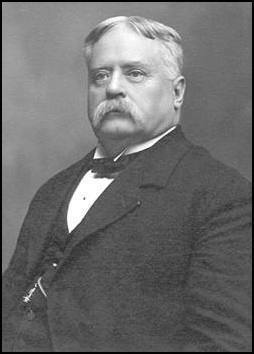 Fitzhugh Lee counterattacked with a brigade of about 800 men. The “Gallant” Pelham was killed. After achieving a localized success, Union forces withdrew in mid-afternoon. 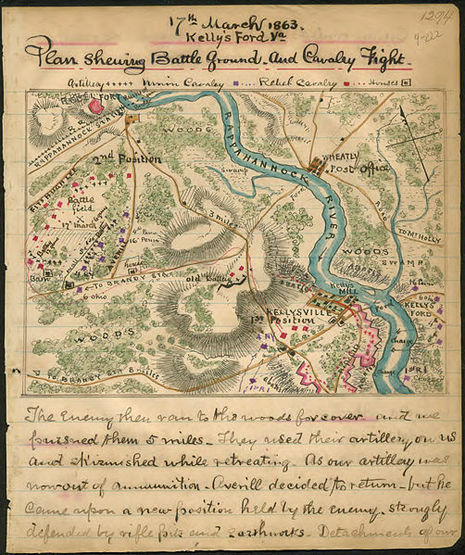 The Battle of Kelly's Ford, also known as the Battle of Kellysville, took place on March 17, 1863, in Culpeper County, Virginia, as part of the cavalry operations along the Rappahannock River during the American Civil War. It was the "first real, and perhaps the most brilliant, cavalry fight of the whole war" and it set the stage for Brandy Station and other cavalry actions of the Gettysburg Campaign that summer. Twenty-one hundred troopers of Brig. 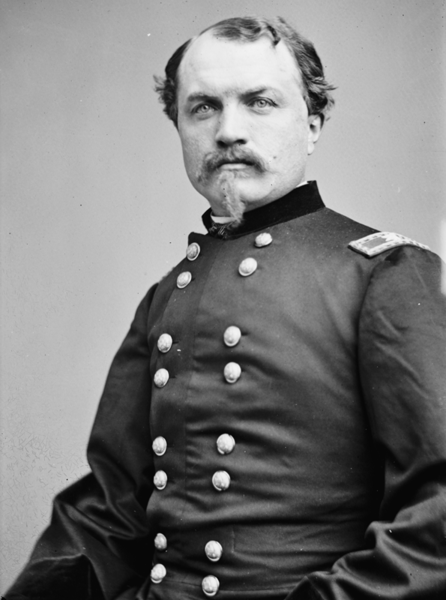 Gen. William W. Averell's Union cavalry division crossed the Rappahannock to attack the Confederate cavalry that had been harassing them that winter. Brig. Gen. Fitzhugh Lee counterattacked with a brigade of about 800 men. After achieving a localized success, Union forces withdrew under pressure in late afternoon, without destroying Lee's cavalry.